Capitol PD Tactical Response Team May Have Been Ready To Neutralize Navy Yard Mass Shooting, Instead Ordered To Leave Scene! No mind can make sense of this. 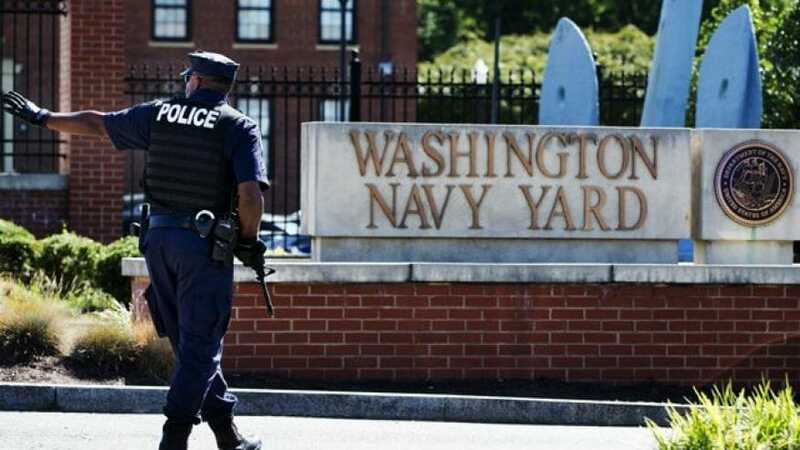 A highly trained, and heavily armed tactical response team from the Capitol Police was immediately on location at the Navy Yard Monday morning while innocent people were actively being hunted and shot. Fully prepared and ready to intervene, multiple sources from inside the Capitol Police Dept say the team was instead ordered by a supervisor to leave the scene. The scene being a mass shooting; the very situation this elite team was uniquely trained and equipped to neutralize. Washington DC’s Capitol Police have ordered a review into a BBC report that an armed police team was ordered not to respond to Monday’s mass shooting. A tactical response team from the force was told by a supervisor to leave the scene instead of aiding municipal officers, police sources told the BBC. The Capitol Police sources suggest they could have saved lives had they been allowed to go in. Aaron Alexis, 34, killed 12 people at the Washington Navy Yard. About 8:15 local time (12:15 GMT), Alexis entered Building 197 at the installation and launched his attack. Armed with a shotgun and a pistol he took from a guard he had shot, he sprayed bullets down a hallway and fired from a balcony down on to workers in an atrium. He also fired on police officers who stormed the building, and was later killed in the shootout. Multiple sources in the Capitol Police department, which guards the US Capitol complex, have told the BBC that its highly trained and heavily armed four-man Containment and Emergency Response Team (Cert) was near the Navy Yard when the initial report of an active shooter came in at about 8:20 local time. The officers, wearing full tactical gear and armed with HK-416 assault weapons, arrived outside Building 197 a few minutes later, an official with knowledge of the incident told the BBC. According to a Capitol Police source, an officer with the Metropolitan Police Department (MPD), Washington DC’s main municipal force, told the Capitol Cert officers they were the only police on the site equipped with long guns, and requested their help stopping the gunman. When the Capitol Police team radioed their superiors, they were told by a watch commander to leave the scene, the BBC was told. “I don’t think it’s a far stretch to say that some lives may have been saved if we were allowed to intervene,” a Capitol Police source familiar with the incident told the BBC. The gunman, Aaron Alexis, was reported killed after 09:00. Several Capitol Police sources who spoke to the BBC asked to remain anonymous for fear of reprisal. Capitol Police Officer Jim Konczos, who leads the officers’ union, said the Cert police are expert marksmen who train for what are known as active shooter situations. Marines with no bullets and an elite tactical team told to stand down. It should have had a different outcome. How outrageously tragic.